Every year around 1.7 billion mobile phones are produced and sold. Estimates are that around 900 million phones become redundant every year. This can create a serious issue with electronic waste (e-waste) or a sustainable business opportunity as mobile phones are of value. Techreturns buys used mobile phones to give them a second life, especially in developing countries where there is a great need for affordable, high quality mobile phones. 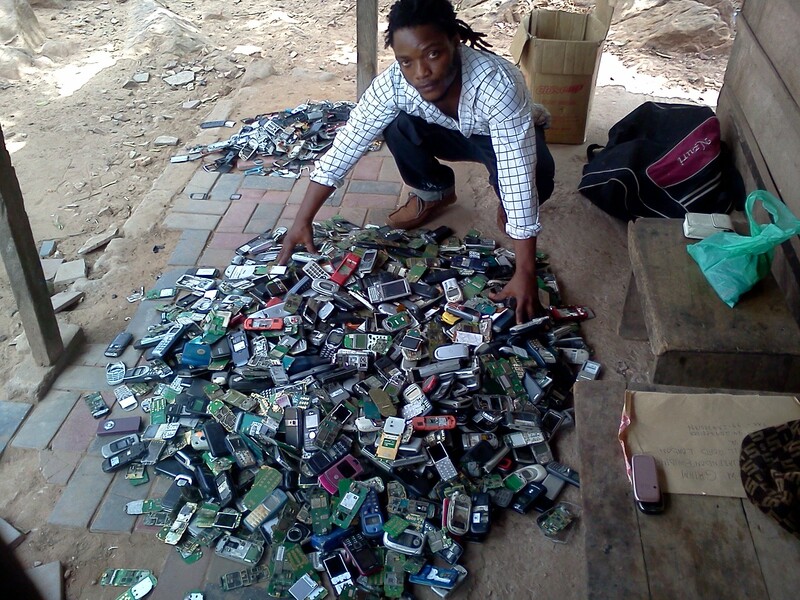 Furthermore, Closing the Loop collects broken mobile phones in developing countries for recycling in Europe. Together we thus create a unique circular model within our field. Together with additional partners such as Fairphone, Masterpeace and Text to Change we are able to make win-win opportunities for every party involved. We contribute to more advanced technology in developing countries as well as creating business opportunities there. Our approach is bottom up – it is about practical, concrete solutions and actual implementation. The mobile phone(s) you have at home has great value, both in terms of further usage and the valuable components inside. Go (tech)return you mobile phones today and help us close the mobile loop!